by Kendare Blake is the second in her thrilling YA fantasy about three young queens forced to fight for power. Since the last novel there was an incredible plot twist that left the story hanging from the minds of readers everywhere. 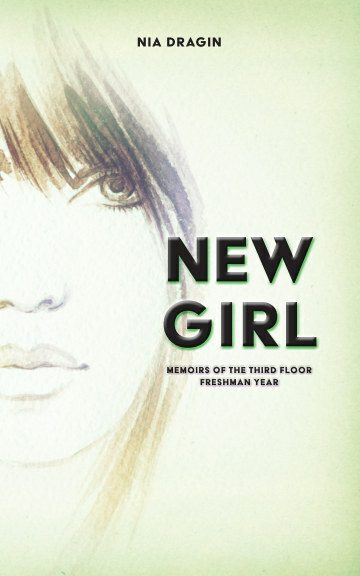 There was a hardening of characters, but also a deeper look at who they were and who they are now that was incredibly thoughtful and captivating. This is a not a novel for the fainthearted, or for someone who thinks that these queens are going to live happily ever after. These are queens who are destined to destroy one another as they have for centuries, leaving the strongest one on the throne. It’s a dark story, one that has incredible beauty to it as it holds onto hope for the characters. The characters themselves strive for a future that seems impossible to obtain yet they never give up striving for it. These three sisters are influential figures, and their sense of magic makes them each so different in many ways. Just let’s just take Katherine for example. In the first novel she was naïve, sweet, and a little broken. But now she’s something more. Katherine is more powerful, she’s darker and has a more vibrant personality than in the previous novel as she embarks on dangerous risks. It’s such a fascinating twist to the story and the plot line so see this character evolution. Katherine is in a way the central focus of the story because she is so adamant about becoming the queen and breaking those who would have broken her given any other circumstances. It’s fascinating to follow the story and to see how Katherine has changed and how her changes have affected her sister’s in numerous such ways. Each of these each of these sisters has a secret, and their secrets are what’s haunting them. They have secrets of death, of life, power, and magic. These secrets themselves are richly detailed and weave the story together, tying the sisters together. Sisters who have been separated and taught to kill one another. Their magic is what’s tying them together, and the magic is still very different than then other young adult fantasy and fiction. The idea that you have a Naturalist and an Elementalist is unique. When one thinks of Elemental magic one tends to connect that to Earth Magic. Blake has found a way to separate them by giving different attributes. There’s a richness to that detailing that makes the novel stand out. It uses familiar tropes of magic that any reader can connect to but also manages to make them unique in this story. Moreover, it also works to tie the characters together. Capturing the magic so excellently also means it has to capture the characters. And Blake does that effortlessly. All the characters have grown immeasurably since the last novel. They are all stronger and harder and much more compelling in ways no one could have foreseen. The evolution of the story and character development connect to the reader because it gives them this fascinating story following three different journeys, all of which are deeply interconnected. They have suffered, but that suffering has not darkened their inner light. Admittedly there are times when the novel falls short compared to its predecessor. Some scenes slow down the pace of the story yet overall it maintains it’s fast pace, going from plot twist to plot twist. It is a solid sequel but again those slow moments, at first, don’t seem to offer much. However, by the end, the reader will see how all those little details tie together. 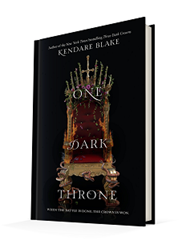 One Dark Throne is a novel that you have to read from beginning to end to enjoy and understand those small moments that, at first, seem insignificant yet end up meaning so much more.